Despite the healthcare ecosystem’s push for transparency, there remains a shroud of secrecy around one ubiquitous healthcare treatment tool: prescription drugs. No one — not doctors, not insurers and certainly not patients — know what they really cost. In addition, doctors typically have no idea, once the e-prescription has been sent to the pharmacy, whether the drug is ever picked up or is being taken as directed. Meanwhile, insurers have no idea what has been prescribed and not taken (or paid for out of pocket), but only what medications have resulted in a claim. These breakpoints in visibility and transparency have serious consequences. So too does the affordability crisis for medications, as consumers face increased cost-sharing through deductibles, coinsurance, and drug coverage “donut holes.” The National Institutes of Health estimate approximately 125,000 deaths per year in the United States are due to medication nonadherence and between 33 percent and 69 percent of medication-related hospital admissions are due to poor adherence. Meanwhile, affordability is the number one obstacle to patients taking their medications properly. The scope and scale of this problem deserve considered solutions from the health IT community. New technology tools must deliver increased price transparency, ease the affordability crisis, enhance communications among healthcare stakeholders, and ultimately improve medication adherence. These solutions must be delivered at the point of care, incorporated into the EHR’s e-prescribing workflow. They should enable discussions around cost during the patient encounter, to head off medication adherence challenges and help avoid unpleasant surprises at the pharmacy. Tools exist now that can provide the prices for any drug at the five cheapest pharmacies nearby. Doctors can have this data at their fingertips, within a few seconds, at the point of care, integrated into their existing workflow. These technology solutions can also track prescriptions to make sure they are picked up and refilled on a regular basis, to gain new insight into which patients are at risk for adverse events due to medication non-adherence. For years, insurers and patients have just accepted the price they are getting is the best price, or the only price. These prices are usually set by pharmacy benefit managers who promise to offer discounts. But the truth is PBM “discounts” have always included heavy padding in the form of ingredient spreads and per prescription fees. In fact, while PBMs are typically paying manufacturers 96 percent off the Average Wholesale Price (AWP) — the “sticker price” for drugs — the prices they charge insurers and employers are between 70 percent and 85 percent off the AWP. PBMs are skimming 10 to 25 percent off each prescription. Insurers and employers have had little recourse, both because they did not know the true price of prescription drugs and because they did not have a way to easily shop around between competing pharmacies to get the best price on every medication. So, importantly, new prescription pricing technology solutions should bypass pharmacy benefit managers and other middlemen to deliver true savings — rather than simply “bake-in” inflated pricing before offering discounts. Previous attempts to solve this problem have been decidedly low-tech. Some patients have looked to Canadian or other foreign mail-order pharmacies to try to lower drug costs. But these transactions are usually outside the doctor-patient relationship and may cause more harm than good to the patient — either by exposing him or her to dangerous drug formulations or by causing rifts in care continuity. Some newer solutions fail to address the price-gouging schemes of PBMs and discount card marketing companies. Patients, doctors, and insurers need something truly disruptive. Technology solutions that provide the lowest price to both patients and insurers, by negotiating the best cash prices across huge pharmacy networks, then delivering those prices at the point of care. That is just the beginning. Technology tools that are truly integrated into the EHR can feed data back to insurers and providers about when or whether that prescription was picked up. There should be a digital “chain of custody” that follows each prescription to keep both the doctor and the insurer informed on drug fills, refills, and cadence to ensure medication adherence. This gives the clinician the opportunity to intervene if necessary to help prevent an adverse event or avoidable hospital readmission. Doctors and patients, together, must come to the best decision about the right drug for their condition and price must be a part of that equation. We need technology solutions that enable doctors to find the best price on any drug, at local pharmacies that are convenient to the patient. Tools exist to address these concerns. The key is for the next generation of EHRs — or even just the next release — to embed these tools into their existing systems. By doing so, we can avoid disrupting doctors’ workflow and can ensure all e-prescribing information is captured in the patient record. Health IT solutions are typically geared towards one healthcare user: hospitals, doctors, patients, insurers or employers. But drug price transparency technology is one of those rare innovations that will benefit each of those audiences. Doctors and patients, together, will be able to make the best decisions about medication management, at the point of care, during the prescribing process. Hospitals will enjoy better population health management through better medication adherence. Insurers and employers will be able to wring more value from each healthcare dollar. If health IT is to play a significant part in improving outcomes and lowering costs, the industry must take on medication adherence and drug price transparency. We can’t succeed in bending the cost curve in healthcare, if we don’t know what the costs are in the first place. That includes prescription drugs. 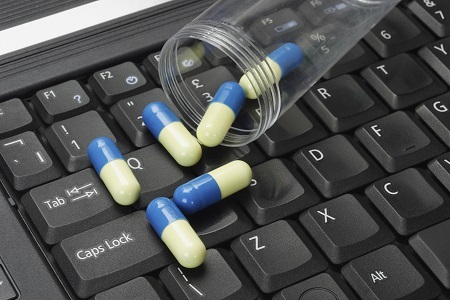 We in the health IT industry have the insight and ingenuity to draw the curtain back on drug price secrecy, and we have a real obligation to do so. Tom Borzilleri is the founder and CEO of InteliSyS Health, pioneer of the first real-time prescription transparency platform, and formerly the founder and CEO of Valore Rx, a pharmacy benefit management company.